63 Projects Will Encourage Tourism and Economic Development Opportunities Statewide. Albany, NY - January 15, 2014 - Governor Andrew M. Cuomo today announced the award of approximately $67 million in funding for 63 bicycle, pedestrian and multi-use path transportation enhancement projects that will encourage tourism and economic development opportunities across the state. The projects include the addition of accessible sidewalks, improved pedestrian access to public transportation services, construction of new bicycle and pedestrian facilities and the preservation and conversion of abandoned railroad corridors for trail use. Environmental mitigation to address water pollution due to highway runoff or reducing vehicle-caused wildlife mortality. The projects announced today were selected through a competitive solicitation process and rated on established criteria that included environmental enhancement to and for the transportation system; connectivity to an existing transportation system; encouragement of smart growth; impact on local or regional economies; availability of matching funds; and level of community support. A full list of the projects is below. Erie Canalway Trail: South Amsterdam to Pattersonville "Closing the Gap"
Onondaga County Dept. Of Trans. 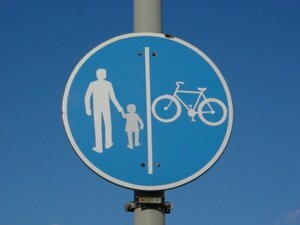 Subject: LongIsland.com - Your Name sent you Article details of "Governor Cuomo Announces $67 Million in Funding for Bicycle, Pedestrian and Multi-Use Path Enhancement Projects"